According to a recent article in the The Wall Street Journal, the 30 major league baseball teams have spent an average of $50,000 per team this year on dirt for their infields. According to The Wall Street Journal, 2/3 of the 30 major league teams get their infield dirt from the DuraEdge Products Soil Farm in (I’m not making this up) Slippery Rock, Pennsylvania. It makes sense that major league dirt would come from a town called Slippery Rock. It would make even more sense if it came from Mud Island in downtown Memphis. I am something of an expert on baseball dirt myself, as I spent my entire baseball career playing on it. 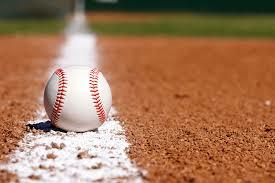 In fact, dirt is the only thing I ever played on during my days as a ball player. I have never played on grass in either the outfield or the infield. I spent several summers playing second base for the Cardinals. Not the St. Louis Cardinals, but the Dellwood Baptist Cardinals of the Memphis Little League. We played all our games on dirt lots with a back stop screen behind the plate. Our field of dreams was more like a yard of mud. It didn’t even rise to the level of sandlot baseball. It was dirt from home plate to the deepest part of center field. No diamonds, just dirt. The Memphis Little League did not ship the dirt in from Slippery Rock, Pennsylvania, or anywhere else. It was just the dirt God gave us in Memphis. But major league baseball teams now spend a small fortune on their infields to make sure the dirt, or more accurately, the clay, has proper moisture content. MLB infields are generally made of various baked clays that will not turn to mush during a rain shower before the grounds crew can get the tarp down. There is even a dirt farm in Tennessee—Southern Athletic Fields in Columbia—that provides red clay dirt as seen for years in the infield of the Atlanta Braves. But whether the infield dirt comes from Slippery Rock, Pennsylvania, Mud Island or Mule Town, Tennessee, I say it’s time to dig in and play ball! As an old dirty baseball player, I’m just grateful that major league teams have not replaced good ole honest-to-God soil with Astrodirt. phd dissertation Writing Service: Pretty nice post. ? just stumbled u? ?n your weblog ?nd wisned to sa? t?at I h?ve ?eally enjoyed browsing ?our blog posts. Afte? all I will b? subscxribing to yo?r feed ?nd I hope yo? writ? ag?in soon! Hugh: Most of the dirt winds up on the base runners who slide into 2nd base. If they wouldn't slide, they wouldn't have to ship in the clay from Tennessee.